Martin Savidge shares his worldview — What’s yours? 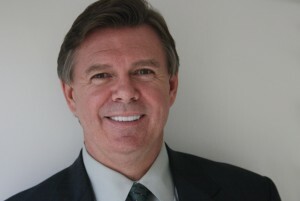 Martin Savidge, a veteran journalist of NBC News and CNN, is the anchor of Worldfocus. I guess you could say I was born into this international thing. I popped out in Lachine, Quebec, Canada to British parents who not long after moved to America and became U.S. citizens. That’s three countries in a single sentence. Growing up we would make trips back to the U.K. for visits, which whetted my appetite for more travel. It’s part of the reason I became a journalist. In order to know, you had to go. In other words, you had to travel to get the story. Starting out in Champaign/Urbana, Illinois, there wasn’t much foreign travel. The same was true of my next stop, Peoria, but things changed when I got to Cleveland, Ohio. I was able to convince my news director that going overseas wasn’t going overboard when it came to news coverage that mattered to Clevelanders. As a result I went to Russia, Ukraine, Thailand, Vietnam, Britain and France. That reporting caught the eye of CNN, where I traveled next, and for nine years the world was my beat. Initially, I was an anchor and worked on just about every show the network had on both domestic CNN and CNN-International. I eventually convinced the network to put me in the field rather than just behind a desk. I became CNN’s first anchor permanently assigned to the field. That took me to the gates of Buckingham Palace for the death of Princess Diana, to Amman for the death of King Hussein and to Sydney for the 2000 games. I witnessed the handover of the Panama Canal and in Havana the handover of a little boy named Elian. I covered the fighting for Kosovo, traveled beneath the Ionian sea in a submarine and reported the atrocities of East Timor. Then came 9/11. I spent six weeks at ground zero in New York and three more years in at least six other war zones including Iraq and Afghanistan, from Kashmir to the DMZ. Ironically, I felt the closest to the world not overseas but here in America, in New Orleans during and after Hurricane Katrina. I was now working for NBC. I rode the storm out in the Superdome then moved to the street where we reported and struggled to live for days. At the convention center, people would beg us to take them out when we left the city. I had to explain that only our reports left via satellite; we remained. If we couldn’t take them, they asked if I could please call their families to let them know they were alive. Not all of those trapped by the storm were from New Orleans. There were many tourists from all over the world. People would scribble the telephone numbers of loved ones on bits of paper and garbage and slip them into my pocket. I promised I would call later that night from my satellite phone — it was my only connection to the outside world. Most of the time my calls were answered by machines. So I’d leave a simple message in English, telling them who I was and that “I saw your mom today” or “I saw your dad or son or daughter. They are okay. They are safe.” Then I would hang up. Never have I felt so close to those so far away. We had made a connection, a connection that had made all the difference. I can’t promise every night on Worldfocus will be as dramatic, but we will be able to communicate. It’s a whole world of opportunity. MARTIN, I AM SORRY FOR HATTI.HOWEVER WE HAVE 2 WARS ON WHERE OVER 3,000 PEOPLE HAVE DIED,A BIG HOLE IN THE GROUND IN NEW YORK CIOTY AFTER 8 YEARS AND NOW YEMEN… FORGET HATTI AND LET THE USA HELP ITS OWN POR AND SUPPORT ITS OWN MILITARY.WHY DOES USA HAVE TO BE WORLDS POLICEMEN? I RESPECYFULLY SEND THIS BUT OUR COUNTRY AND PEOPLE FIRST.THERE ARE MANY OTHER COUNTRIES IN THE WORLD. Hello Martin Savidge, we really miss you! You are by far the best Journalist in my opinion. We met Martin Savidge in the Detroit Metro Airport, one morning . My Husband, Dave and I lived in Higgins Lake, MI, and our daughter had sent us tickets to a verrrry early flight to visit her at her new home in Las Vegas. The plane was scheduled to leave at around 7:45am. Since it took 3 hours on a good day to drive to the airport, then check in 2 hours early, not to mention park, etc, we decided to camp out all night at the airport ! Save the hotel money to shop at Caesar’s Palace ! Buy stuff for our little girl ! ( 25 yrs. old) Eat ! Well, we sack out on some fold-up theater seats in the lobby, our feet on the big suitcase, a blanket I had made covering us both. At about 5:45 am, we are awakened to, “Is everything all right ?” OMG ! It was MY fave newsman, Martin Savidge ! I had seen many of his reports through the years, and now he was right there, worried about a couple of rumpled, sleepy travelers. He was traveling with his producer, a nice lady who reminded me of a Nun I had known in the 9th grade at Marian High. Sweet, but businesslike ! We told him what we were doing there, and we all traveled to the Security and Gate Area, and Martin wanted to buy us Coffee, a bagel, and talk to us about his assignment. He was covering a Health Care Forum in Ferndale, MI the day before and was flying home to Ohio, where he lived at the time. He just sat there and talked to us and joked around, talked about life in general. He was really REAL ! I think he was based in Atlanta, so he was working at CNN then. Now, I think he freelances, and works on PBS for WORLDFOCUS- a news show. He said that the people he met in Ferndale were from all walks of Life, and were kind and friendly. He is quite the conversationalist, and a great listener. We liked him very much. I was so impressed, that I wrote to his boss ! I look forward to your presentation of world news when we can find you on Worldfocus. We regret that you are no longer there every night. You are outstanding in your manor of delivery, with humble concern and respect for the truth. You stand above all other anchors and news commentators, a real breath of fresh air. Thank you.Hoping to see more of you. Good luck. I’m for women as anchors Daljit Dhaliwa, rah…however, I do miss my favorite Martin Savidge. Congratulations on first year! Best news program on TV, but it comes on too late (11:30pm on TPT Channel 17) to enjoy real time. Recording program daily allwos viewing at better time, and since no one else covers the content, it’s still fresh the next day. I hope you’ll eventually displace BBC World News, which is now a distant second on prfessional news delivery. Martin brings a warm and personal professionalism to journalism that is refreshingly informative. Bravo! Martin Savidge will be anchoring Worldfocus periodically. He will also be reporting from the field for Worldfocus. Daljit Dhaliwal does an excellent job as anchor. But what happened to Martin Savage? Daljit is doing a great job, but where is Martin? We miss him. Best news program on TV. Where is Martin Savidge? Great show and important coverage. I try to make it a regular. I really enjoy this platoform for a veteran reporter like Martin Savage. Great Job. Well, well, well. What do you have up your sleeve now, Mr. Savidge? I do check…. In your note you mention how you reported the atrocities of East Timor. I was wondering if you could do a short bit about your findings there. Also, to hear your opinion on MIT professor and “father of linguistics” Noam Chomsky would be awesome. Love your world news. They should have you on prime time on every major channel. Last night noticed your pen, is it a fountain Pelican? Thank you for bringing world to our small screens and keeping it real. Wanted to thank you for your mature and sensible presentation of world news… absolutely refreshing and much appreciated. Your smile is just fine and just enough! I feel fortunate to be able to see your “fair and balanced” program on KERA Channel 13 in Dallas. Best wishes for a long, long run which will enhance and benefit our connection with the rest of the world. I’d like Martin to view the various youtubes on Chlorine Dioxide and Lemon juice or vinigar to treat Malaria. It is a cheap and effective way to treat Malaria..According to Martin, Cambodia is having some real problems treating certain strains. Chlorine Dioxide, oregano oil, garlic have been used to assist in such treatments. Will Martin be brave enough to get these people together? Been seeing your recurring appearances on Morning Joe. Just wanted to say hi since we shared a drink with Sharon, Mike and your wife at the 30th. Interesting six degrees of separation for me and the show…Mika’s brother was a grad school mate of mine at Harvard. I had a conversation with Harold Ford at the Kemp memorial (I was a senior aide of his at HUD). As a Congressman Scarborough and I briefly met when I worked for Haley Barbour at the RNC, and of course I know you. Like you, I’m still pursuing international commercial plays through my consulting firm (www.globalpointview.com), currently working on a 9 figure acquisition in the mobile telecoms space, and recently been tapped to serve on a board of a DoD program promoting the teaching of strategic languages in K-16–the Language Flagship Initiative (www.languageflagship.org). Perhaps it might be of interest for a story in the future. Drop me a note with your contact details. I get to New York every six weeks or so and we can have a drink sometime. Martin Savadge; In a recent segment in conversation the term second war in Irag was often mentioned. What second war in Iraq? Why do you Americans not be honest and adnmit that it was an invasion not a war. In the end Iraq posed no threat to the US at all. What balderdash. As an anchor you should not permit falsehoods. A great one once said, “Keep your sword to the throat of injustice, that not a single individiual shall be enslaved”. Thank you Martin for your work. Dear Mr. Savidge: I really enjoy your program and your presentations. I was particularly moved to tears last evening when I saw the presentation about the little girl in Iraq who was disfigured and blinded. I am 86 soon to be 87 and and thank you for bringing some sanity and sensibility to TV presentations. I would like to assist in the aid for that little girl if I had any idea how to do it. Congratulations again to you for a wonderful program and presentations. Nice to hear that you were once a Canadian as I am still. I enjoy your presentation the most. News should not be a variety show with bells, whistles and props. Thank you for respecting the intelligence or your audience and treating the news with the objectivity and seriousness that it deserves. No foreign travel in Peoria? Does that count Chillicothe?! Nice work, my friend! Keep it up. Martin, I have no issues with your credentials, but I cringe with your presentation. Stiff and arrogant… worse condescending. Loosen up! It will contribute to a more engaged experience. Martin, It was a pleasure to watch you. Now I make sure to watch every day, as it is refreshing to have news from around the world (sans commercials !!) and to the point. Thank you and keep the good work. Best of luck for a very long run. Merci beaucoup. Didn’t all the holy books say/ That LOVE is still the key? Well your big brained language save you?/ Or- your free-opposing thumb? My husband and I have been watching Worldfocus almost since its begining. This is the only truly International news program in the Evening news category. We find your interviews thoughtful, news coverage comprehensive and even handed and experts knowledgable and moderate. In other words, keep on doing what you are doing. We look forward to tuning in. I just watched your program this evening on the conflict in Israel. You completely ignored the fact that Israel has been living under a torrent of rockets for months, indeed years. You seem, like many on the left, to be a devotee of the long standing anger at the Jews for defending themselves. Imagine Mexican rockets on Texas or Canadian rockets on New York, what would we do? You are obviously a pro-Arab, anti-Israeli, one-sided spokesman. Your station has committed the same sins vis a vis Indian-Pakistani conflict, and expressed much support for Pakistan’s outrageous attacks on the Indians and the Jews of Mumbai. I have been a long standing supporter of your station, however, I have not sent in this year’s due yet and I expect I will walk away from your entreaties for money. Dec 15th, you asked that Ex-Pakistani guy about his view of the disturbance in Mumbai and he said that there are only two reasons for it, he was so very condecending, most of the muslims give that answer. For heavens sake do not talk to such people. Does he think that his view is so objective? You should have continued to make sure that he had an opinion that was not at all objective. Muslims want the entire world to accept that they can go on a rampage if they find that in their view there is some injustice!! This is shameful and your selection is very regretable. I am sure all of the Indians feel this way. I just caught another of your new WF newcasts on WHRO-PBS TV in sunny, beachy keen southeastern VA where I’ve retired and happily living the live of a beach bum. Delighted to see you back anchoring, although I know reporting is still your greatest love. Think back through the whispers of your mind, and you might recall back in the early 80s you were kind enough to do a pro bono VO for me on a video I was doing to kickoff a new fund-raising campaign for United Way. I was creative director for Marschalk Direct Advertising then, and even though we did it on a rush rush basis, we still found the time to share our J-School backgrounds and love for news reporting. back regularly on the tube. I’ll be there every week…Watching. Judging. But, dunna worry. I’ve always given you straight A’s. Thank you very much, Martin, and World Focus. I am telling everyone I know about your program. What a needed service! And the website? Thank you again. I first tuned in at the exact moment that a report from the Christian Science Monitor was being made. I mistakenly thought that this program was a new production of CSM. Your presentation seemed so much like Bob Abernathy on Religion and Ethics that is seemed like I would be right. But when it came to the credits I was somewhat surprised. The reporting seems so even-handed and with an almost serene non-judgmental presentation. I realize that you really are not affiliated with CSM (or Religion and Ethics) but I still look at the program as if it is produced and directed by a “religion and ethics” crew. To tell the truth, this is somewhat uncomfortable because I get the feeling that the reports are sanitized. Still, I’m glad we have another point of view along with other world programs. Thank you and your team for all your hard work to bring the true world inside our homes. I was thrilled and delighted by World Focus program when I watched it for the first time last Friday night. From day one when we met in Bagram Air Base (Hanger), Afghanistan, I had no doubt that some day you will bring a change in the world of media that will have a different match then the mainstream ones. Similarly, I am also enjoying the European Journal, which broadcast from Brussels on Monday evenings, but only focuses on Europe. I am in Seattle and very active in the Afghan community, politics and issues. Please let me know if I can be any help regarding Afghanistan and the tribal belt. We have our own grand council (Jirga) and brainstorming each other for an Afghan solution. You and Tom Ricks are my Bagram buddies. Hope you recall me as Maj Gen. Frank Heganbeck’s interpreter. Martin & team, thank you. What a wonderful program! I just stumbled upon it tonight & am so thrilled. I have a great sense that Worldfocus will be HUGELY successful (yet potentially loathed by the mainstream media = “big picture truth editors”). I’ve had a challenging relationship with news programs for years, but you are offering a very compelling program. I’m looking forward to staying tuned in to see stories I know those other guys won’t share, although you may force a new trend (thumbs up). Also, thank you for posting the full programs on the web. Congratulations & all the best! Great job. I like this better than BBC. It is more international and there is more substance. The segments today and yesterday on Africa were especially good. Keep it up! I want BBC back. World focus seems, flat, glib and way over produced, too high production values, clever shifts of camera angles, Martin Savidge is way too smiley faced. I never watch network news as it is too fractured, and WorldFocus seems very networky and (without the commercials) commercially. It doesn’t compel me. IMHO WorldFractured is a more apt name. Pretty but irrelevant for a short time slot. I’ve largely admired your TV work over many years and networks and hope you and WORLDFOCUS will add your own independent, non-jingoistic viewpoint to those of the BBC and the European Journal. Are you related to the latter? Martin – I enjoy the show on PBS (Channel 13 in NY). Your voice is exactly that of Bill Curtis. Are you related? martin congrats on the new show.hope every thing is going well.take care and good luck with your new venture. I went to watch BBC News on KERA, Dallas and instead found your show. Why only one international news show on PBS? In my next radio report for Asia in Focus, I will recommend World Focus to our listening audience on Asian in Focus on WSOU-89.5 FM MHZ Pirate Radio, Seton Hall University. Station. Asia in Focus is a musical radio show in nature. I write about Asian events and happening in NY/NJ. Yes, indeed, wife and I enjoy seeing you as the brand-new news anchor on “World Focus,” the new international news show on WNET Channel 13 in NYC. In our humble opinion, you are the right person to host this important news program on PBS! We look forward to see you every night at 6 pm. The program and its news content is worth watching! My wife Remedios Abad & I would like to wish you and staff members at World Focus all are best good wishes and much success to all! Best of luck to you, Martin. How disapointing a debut. I felt I was being talked down to. After your program I watched BBC News on WNJN and learned about the world view. Yes, the BBC has a point of view but it is easy to see through. The News Hour covers international news better. We were DELIGHTED with the substitution for BBC News tonight(KET). No simpering, hyperbolizing, (a word?) overly made-up anchors, no silly music, just a world view of events presented in what appeared to be some kind of a-political presentation. PLEASE be a wave of the future in these times. (By the way, you GO, Martin; we are also Cleveland folks. )We want the news, not philosophy and political lean. Best wishes. Wishing you the best of luck in this newest endeavor … Thank you very much for this much needed resource! Martin, I will miss seeing a fellow Rocky River Boy – RRHS Class of 1977, on the NBC World News. Your work is outstanding…certainly wish you every happiness personally and professionally. I will need to change my viewing habits to catch your new work. I now manage several buildings for Colliers ostendorf-Morris Commercial Real Estate in Downtown Cleveland. After several years in D.C. Atlanta, D.C. and New York…it ceratinly is nice to be back. Here’s wishing you the very best!